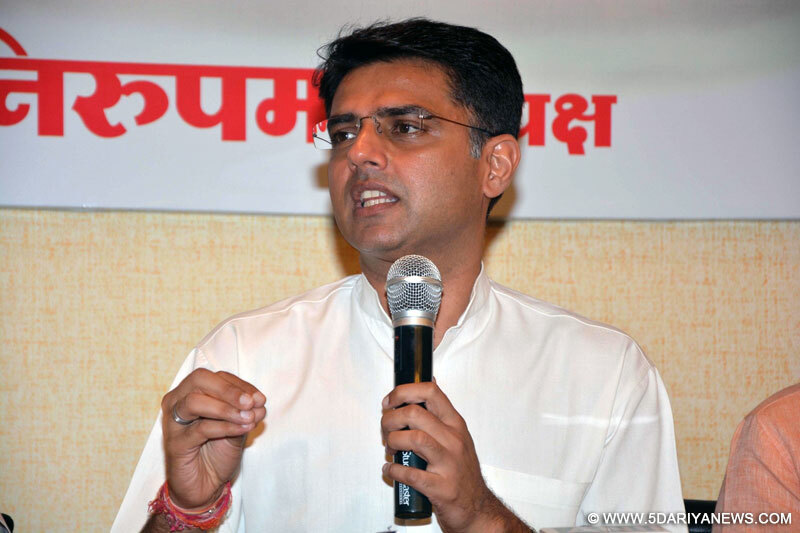 Slamming the ruling BJP, former Union Minister and senior Congress leader Sachin R. Pilot on Friday said three years after coming to power at the Centre, it had emerged as "a failure" on all counts.Speaking to media persons here, he said the Bharatiya Janata Party (BJP) has completed three years and this is the right time to evaluate its performance. "Now, they are going to spend Rs 2,200 crore in 900 cities to highlight their achievements... In Maharashtra, Madhya Pradesh and Gujarat, farmers are on a warpath but the government ignores them," Pilot said.He said if the BJP-ruled Uttar Pradesh can give a farm loan waiver, why can't it be done in Maharashtra where the same party is in power, and demanded that the farmers' demands must be conceded. "In Madhya Pradesh, farmers have been caned and fired upon but the government is not ready to talk to them and solve the issues... Farmers commit suicide, and the Agriculture Minister engages in Yoga, this government is a complete failure... Ministers forget their promises after coming to their posts," Pilot said. He said an atmosphere was being created whereby anybody who is opposed to the BJP is treated as an "anti-national" by the central government.The Congress leader also said the situation in Jammu and Kashmir is going out of hand and the government should give "a fitting reply to Pakistan, which we will fully support".Accusing the ruling ally Shiv Sena of playing a 'dual role', Pilot said the party speaks in different tones at the Centre and in Maharashtra. "The Shiv Sena is greedy for power... If it has the courage, it must quit the government instead," Pilot said.Referring to a video clip that has gone viral on social media where a Congress legislator is allegedly inciting violence in Madhya Pradesh, Pilot said the party dissociates itself from such acts and does not endorse any kind of violent acts.The video shows Congress legislator Shakuntala Khatik instigating people to set a police station on fire ("Thane me aag lagaa do"), but Pilot declined to comment whether the party would take action against her. "I have not seen this video, we condemn it... We condemn any form of violence...There should be a probe," Pilot said.